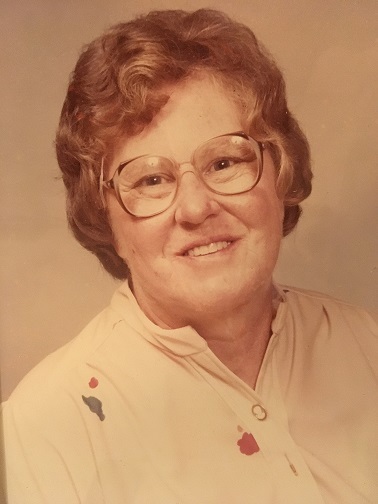 Corine Tucker Alford, 93 of Morgantown, Kentucky passed away Friday January 18, 2019 at the Medical Center in Bowling Green, KY. Corine was born on June 28, 1925 in Butler County, Kentucky to the late Roscoe and Elfie Flener Taylor and wife of the late Hershel Henderson, V.L. Tucker and Roscoe Alford. She was a member of Barnetts Lick Missionary Baptist Church and was retired from the United States Postal Service. Corine enjoyed spending time with friends and family and yard sales. Other than her parents and husbands she is preceded in death by one sister Dimple Taylor. Corine Tucker Alford is survived by one son Dempsey Henderson (Wilma) of Morgantown, KY; three granddaughters Misty Henderson (Teri) of TN, Crystal Swope (Mike) of Owensboro, KY and Kelly Denson (Silas) of TN; one grandson David Randel Henderson (Keta) of Indiana; two step children Eddie Alford and Shelia Mudd (Larry) of Shepherdsville, KY; 7 great grandchildren, 6 great great grandchildren; two brothers Chester Taylor of Morgantown, KY and Ivan R. Taylor (Louise) of Springfield, Ohio.